Contrary to what some people believe, the purpose of insulation is not limited to keeping homes warm in the winter. 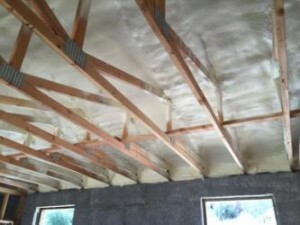 The idea of insulation is based on energy efficiency. A home without insulation will suffer from poor thermal performance, thereby increasing utility bills and placing a strain on HVAC systems, household budgets, and the environment. Until the second half of the 20th century, American home builders were not required to include installation. In parts of Florida and Hawaii, single-wall home building with little insulation is still possible as long as the local construction codes allow it. There are certain cases of homes being built without it. These homes are in locations with very moderate climates. For instance, in the Central American nation of Costa Rica, there is a town named Atenas that boasts of having the best climate in the world. Sunny days and crispy air coupled with a mild rainy season make the climate of Atenas ideal for single-wall home building without insulation and even without HVAC systems. While there are exceptions, in today’s society, many homes, structures, and buildings require it. And if an older home was built without insulation, if the homeowner goes to sell it, it will require an energy retrofit. This project would involve choosing and installing the correct insulation in accordance to the local building code and the regional climate. To learn more about the benefits of insulation or for a free quote, contact USI online to find a branch near you. USI believes that excellence in every step of the process and ensures timely completion and quality of service, time after time.